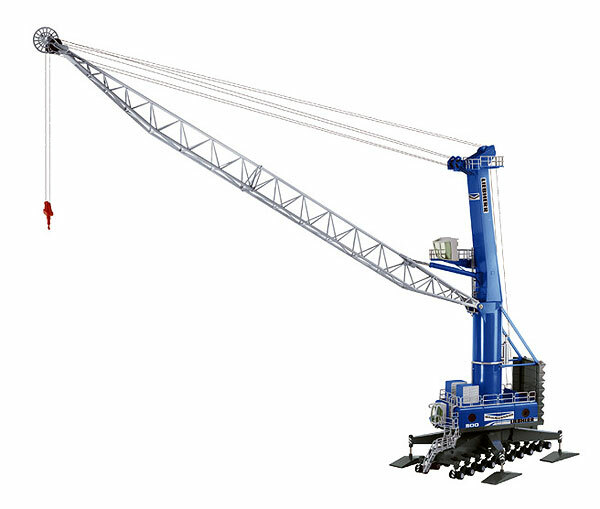 I don't have a port or harbor sceen on my HO scale layout, however, I will soon just because of this crane (I will find room for it). It's all metal including the hand rails and the 40 tires are rubber. The outriggers swing out and the pads adjust up and down. The detail is spot on as well as the craftsmanship. It is a very large piece , about 32" tall, so that's why I think NZG modeld it in 1:87. Definitely a need to have especially if you're a crane lover like me!